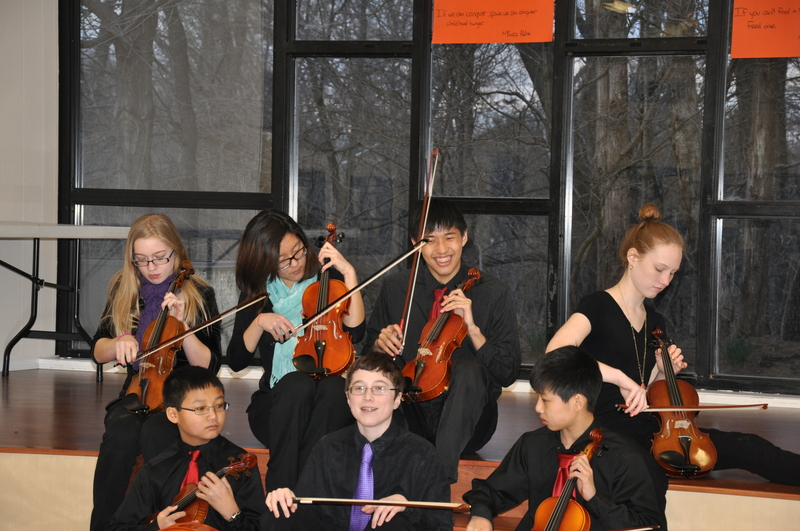 Participation in Simply Strings is by audition or invitation only. Violin, viola, and cello students throughout the St. Louis area are eligible to take part. Simply Strings was founded by Kirby Ann Kay in the fall of 2010 to provide advancing students at the St. Louis School of Music the opportunity to perform group and chamber music of various styles. The group has now been expanded to include students throughout the St. Louis metro area and is co-directed by Kirby Kay and Laura Yeh. Simply Strings has performed throughout St. Louis, in Columbus, Ohio along with Suzuki Music Columbus, in Chicago at Ravinia Park, and has participated in masterclasses with Charlie Pickler of the Chicago Symphony Orchestra. 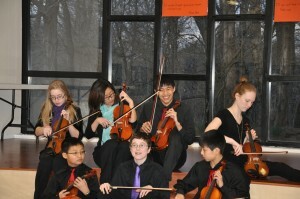 In 2012, Simply Strings released its debut Album “Simply Strings 2012.” Students in Simply Strings are active in school and local orchestra programs and have many opportunities to perform solo works, yet they had few opportunities to discover the joy of playing chamber music before joining the group. Although coming from diverse backgrounds and cultures and having very different playing styles, these students have learned to blend their distinct styles to create something beautiful together. If you are interested in auditioning for Simply Strings, please contact Laura at 314-469-4980 for audition requirements. Auditions for our next tour will take place fall of 2013. Proceeds of the Simply Strings album support the group. If you are interested in donating to the group to help provide need based scholarships or if you wish to donate your time, please call 314-469-4980.